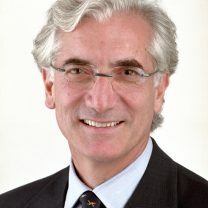 Alejandro Preusche Former Director of McKinsey & Co.
Sir Ronald Cohen is Chairman of the Global Steering Group for Impact Investment and The Portland Trust. He is a co-founder director of Social Finance UK (2007-11), Social Finance USA, and Social Finance Israel, and co-founder Chair of Bridges Fund Management and Big Society Capital. He was co-founder Chair of Bridges Ventures (2002-2012). For nearly two decades, Sir Ronald’s pioneering leadership in driving impact investment has catalyzed a number of global initiatives into being, each focused on driving private capital to serve social and environmental good. These efforts are leading the global impact investment movement, toward an Impact Revolution. He chaired the Social Impact Investment Taskforce established under the UK’s presidency of the G8 (2013-2015), the Social Investment Task Force (2000-2010) and the Commission on Unclaimed Assets (2005-2007). In 2012 he received the Rockefeller Foundation’s Innovation Award for innovation in social finance. He is a graduate of Oxford University, where he was President of the Oxford Union. He is an Honorary Fellow of Exeter College, Oxford. He has an MBA from Harvard Business School to which he was awarded a Henry Fellowship. He is a member of the Board of Dean’s Advisors at Harvard Business School and a Vice-Chairman of Ben Gurion University; a former director of the Harvard Management Company and the University of Oxford Investment Committee; a former member of the Harvard University Board of Overseers (2007-2013), former Trustee of the British Museum (2005-2012) and former trustee of the International Institute for Strategic Studies (2005-2011). In 2007, Sir Ronald published: ‘The Second Bounce of the Ball – Turning Risk into Opportunity’. Today, Sir Ronald lives in Tel Aviv, London, and New York with his wife of more than thirty years, Sharon Harel-Cohen, who is a film producer. His children, Tamara and Jonny, are involved in the impact field in the UK, the US, and Israel. Tom Singh OBE is the Founder of New Look, a leading UK entrepreneur and active private investor with family interests spanning: retail, technology, real estate, renewable energy sectors and private equity. He currently holds the position of Non-Executive Board Member for New Look with over 900 stores worldwide which he founded in 1969. In addition to his responsibilities at New Look, Tom is a founding member of: the Social Investment Task Force, the Chairman of the UK Advisory Council for the British Asian Trust, and is a Trustee of the Pakhar Foundation. Tom is an active philanthropist and social investor and in recent years, has taken an increasing interest in the world of technology. 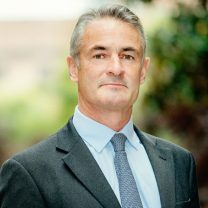 Nick O’Donohoe joined CDC, the UK Government’s development finance institution, as its Chief Executive in June 2017 and is also a member of the CDC Board. He was previously a Senior Adviser to the Bill and Melinda Gates Foundation where he specialised in the use of blended finance models to support the work of the Foundation. Nick co-founded, with Sir Ronald Cohen, Big Society Capital (BSC). He served as its Chief Executive Officer from 2011 to December 2015. BSC is an independent financial institution established by the UK Government as “the world’s first social investment bank” and is capitalised with unclaimed UK bank accounts and investment by the largest UK banks. Previously Nick worked at JP Morgan, latterly as Global Head of Research. He was a member of the Management Committee of the Investment Bank and the Executive Committee of JP Morgan Chase, as well as the senior sponsor for JP Morgan’s Social Finance Unit. Nick co-authored “Impact Investments: An Emerging Asset Class”, published by JP Morgan and the Rockefeller Foundation in November 2010. Prior to JP Morgan, he spent fifteen years at Goldman Sachs. Nick served as Chairman of the UK Dormant Assets Commission which reported in March 2017. He is also a board member of the Global Impact Investing Network (GIIN) and Deputy Chairman of the Global Steering Group on Impact Investment. Nick has an MBA from the Wharton School and a BA in Mathematical Economics and Statistics from Trinity College, Dublin. 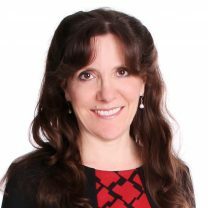 Karina is a corporate governance and sustainable investment expert with a 25-year career in finance and sustainable business practice. She currently serves as an Independent Non-Executive Director on the Board of Italian oil & gas major Eni SpA, where she is also a member of the Controls & Risks Committee, the Compensation Committee and the Sustainability & Scenarios Committee. She also serves on several other boards and advisory bodies, including the Board of Directors of Business for Social Responsibility (BSR); the Global Advisory Council of Cornerstone Capital Inc.; the sustainable development advisory bodies of Lafarge and SAP; and the Transparency International-UK Advisory Council. Jeremy Newsum has been Executive Trustee of the Grosvenor Estate since 1993. The Grosvenor Estate comprises all of the business and private interests of the Grosvenor Family. 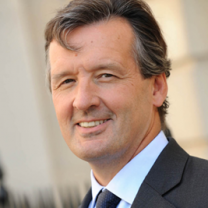 From 1989 to June 2008 he was also Group Chief Executive of Grosvenor, the real estate development and investment company with interests in Central London, elsewhere in the UK, Continental Europe, South East Asia, North America and Australia. The Group operates in all sectors of the property market and manages total assets of $22bn. He is Chairman of the Urban Land Institute and a member of the Council of Imperial College, London and the Advisory Board to the Land Economy Department at University of Cambridge. He has been a member of the Board of Advisors to the Mayor of London on the Olympic 2012 Legacy. He was President of the British Property Federation for the year 2001/2002. Jeremy Newsum was a member of the Assets Committee of the Church Commissioners from 1993 until December 2000 and a Director of the French property company, Société Foncière Lyonnaise, from 1997 – 2002. Sir Harvey is Chairman of Big Society Capital, and Chair of Governors of Birkbeck College, University of London. He also recently joined West London Zone as Chair of the Board. Sir Harvey is the former Chairman of Prudential PLC, Man Group PLC, and the London Development Agency, and former Deputy Chair of the Mayor of London’s Enterprise Panel. 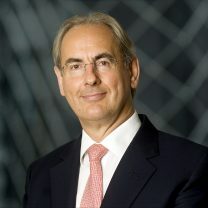 Prior to taking on the Chair of the London Development Agency he was Chairman of London First, the capital’s influential business campaign group, and Chairman of the East London Business Alliance, a partnership of substantial businesses engaged in the social and economic regeneration of East London. Gordon has 35 years City experience, latterly as head of equity proprietary trading and EMEA equity, derivatives and convertible bond risk at Salomon/Citigroup and then as the founder of Pendragon Capital, the event-driven hedge fund in 2000. Gordon sits on the Board of Southwest Energy, is a Chairman of Parkwalk Advisers, a director of Turiya funds, Vietnam Enterprise Investments Ltd and Arvia Technology, he is also a Justice of the Peace in South West London. Edward M. Siskind is the Founder and CEO of Cale Street Partners. Cale Street Partners (“CSP”) is a European focused real estate finance firm that provides senior and mezzanine debt as well as equity capital in partnership with best in class developers, operators, and institutions. CSP was founded in 2014 and seeded with approximately $1.5 billion from a sovereign wealth investor with a long term, patient approach to investing. 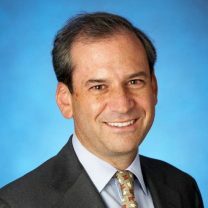 Prior to founding Cale Street Partners, Mr Siskind enjoyed a 23 year career at Goldman, Sachs & Co., both in the United States and Europe where he held a variety of leadership positions including: Global Head of the Real Estate Principal Investment Area, Head of the European Real Estate Finance and Advisory Group and Co – Head of the European Merchant Bank. He also served as Chairman of the Global Real Estate Investment Committee and as member of the European Management Committee and the Mortgage Capital Committee. Mr Siskind currently serves on the Advisory Board of Bridges Ventures and is a member of the International Council of the Global Leadership Foundation which supports political leadership and good governance around the world. He has also served as a member of the Steering Committee of the International Advisory Board for the Real Estate Academic Initiative at Harvard University and has lectured at the University of Pennsylvania’s Wharton School of Business Administration. 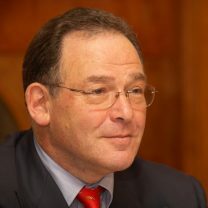 Mr Siskind graduated from Princeton University with honors in 1988. Clive Sherling was the Chief Operating Officer at Apax Partners until retiring in 2004. Prior to Apax Partners, he was a partner at Arthur Andersen specialising in corporate restructuring and recovery. 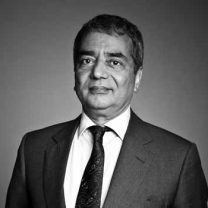 He is a Trustee of The National Theatre and is a former Chairman of the British Venture Capital Association, The Football Foundation, the Football Licencing Authority and a former vice-Chairman of Wembley Stadium Limited. 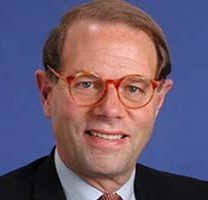 Charles S. McVeigh is the Chairman of Citigroup’s Corporate and Investment Banking-Global Wealth Management Partnership. Charles joined Salomon Brothers in 1971 and was named Vice President and Manager of the Firm’s New York International Department in 1974. He moved to London to head Salomon Brothers International in 1975, was admitted as a General Partner in 1977 and was appointed Chairman in April 1987. Before joining Salomon Brothers, he was an officer with Morgan Guaranty Trust Company. Born in Glen Cove, New York, in 1942, Charles was educated at St Paul’s School in Concord, New Hampshire (Class of ’60), received a Bachelor’s degree from the University of Virginia, and an MBA from Long Island University. Charles was formerly a member of the Fulbright Commission and presently serves on the Boards of EFG-Hermes, Savills plc and Peter Hambro Mining plc. He is also a member of both the Development Board and Advisory Council of the Prince’s Trust. 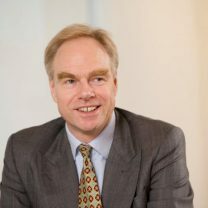 He has formerly served as Co-Chairman of BritishAmerican Business Inc; on the Boards of Witan Investment Company plc, Clearstream, the London Stock Exchange, LIFFE (London International Financial Futures and Options Exchange) and was appointed by the Bank of England to serve on the City Capital Markets Committee and the Legal Risk Review Committee. He has also sat for several years on the Financial Markets Committee of the London School of Economics. 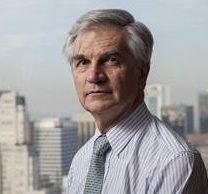 Alejandro Preusche is a former Director of McKinsey & Co. having worked in Europe, USA and in South America where he led the teams that developed the practice in Argentina and Chile and was part of the regional leadership group. In 2003 Alejandro started a career in private equity and venture capital in South America. He partnered with the Soros Real Estate Fund and later on launched SPVs to pursue other acquisitions and developments. He more recently co-led the development of an investment fund for some 20 corporations that are pursuing investments in export-oriented opportunities in Argentina, where he leads the Investment Committee. In 2006, Alejandro started developing businesses with high social impact, such as farming in poorer areas and organic waste recycling, where the impact in poverty reduction is an essential element in their strategy to create economic value. He has been able to attract investors like JPMorgan and the IFC to such ventures. Alejandro also launched his own business, Almado, to network with other businesses, investors, NGOs, institutions and entrepreneurs to deepen the involvement of business in the reduction of poverty. Alejandro graduated as an Industrial Engineer, with honors from Universidad Católica Argentina, and has a MBA from Stanford. He is and has been a member of the board of directors of several private companies including those in information technology, cement, consumer electronics and real estate. He is the treasurer of a local foundation fighting leukemia (FUNDALEU).